Light weight knit cardigan that would be great to layer on over your favorite spring and summer outfits for a chilly night or air conditioned indoors. Open front cardigan with a fun loose knit detail down the back and a small stripe in front. 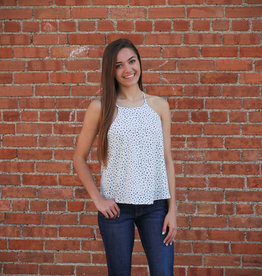 This tiered cami is a top every woman should have in their closet. A sleeveless staple item. Great to dress up or down. Fun and flowy tank top with adjustable straps. Medium wash, high waist jean shorts. The waist line is a raw finish and the hem is cuffed twice but not tacked in place. This allows you to adjust the length of these adorable denim shorts. They are slightly distressed. 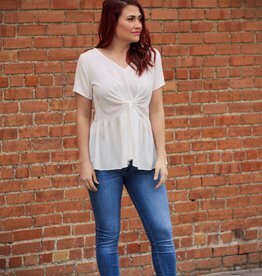 A cute alternative to your everyday skinny jeans - slim straight leg jeans! A great staple piece for and wardrobe! Lightweight and flattering. 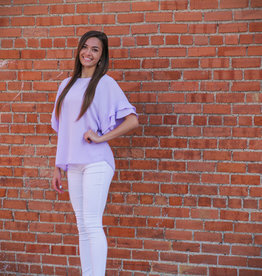 This top is perfect for spring! 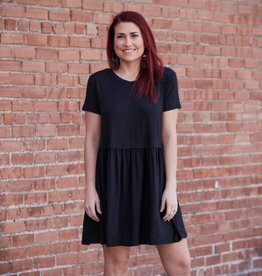 Such a cute dress in a color perfect for spring! 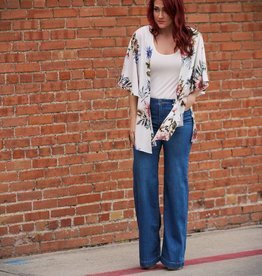 Wide leg denim in a great wash! Black and white leopard print tie front dress.